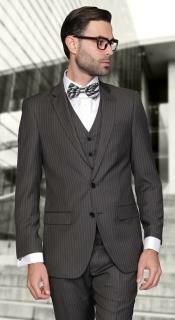 It is an undeniable fact that Italy is the leading hub of the world's fashion. 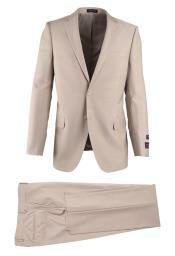 Italians always have an uncompromising attitude especially with fashion, their dressing style and quality. Their love affair with fashion has undergone several significant changes, but with quality it has sustained and elevated its terms. 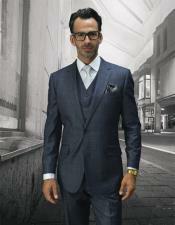 As far as fashion value is concerned, Italians are more aware and remain synonymous with quality and luxury. 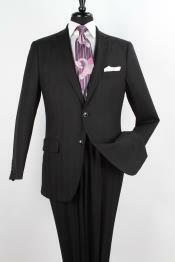 The history of the Mens Italian Best Suits For Men dates back a long time and its evolution makes a very interesting story. The Best Suits For Men as business attire evolved in Europe. 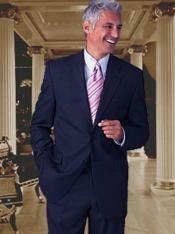 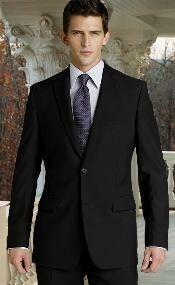 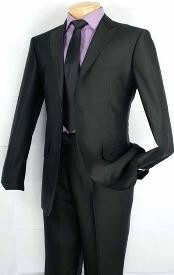 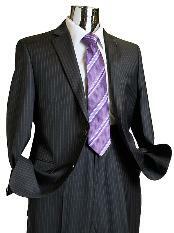 A perfectly tailored Best Suits For Men when dressed on makes you become more confident and focused. 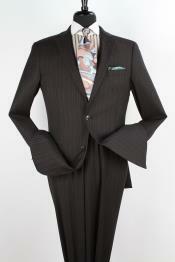 Bringing you an elevated social status, a major production of these suits came from England. 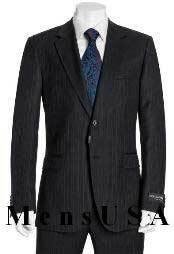 Later it began to spread out throughout Europe and Italy; quickly received recognition as being at the front position of Best Suits For Men quality as well. 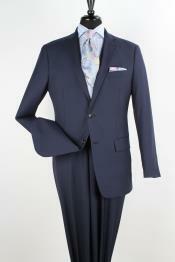 The stitches itself reveals about the best men's Italian suits. 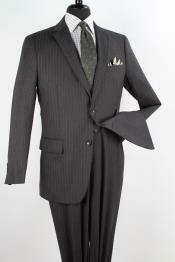 Italian style suits have been around for decades. 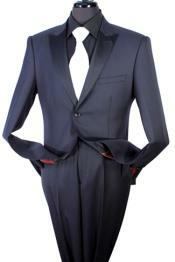 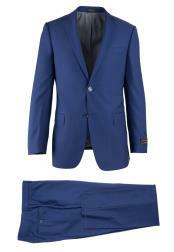 Notorious for its trendiness, with a sleek, modern and stylish silhouette, Italian suits has a slim cut. Originally, the jackets did not have any vents, but today the suits come with two vents. 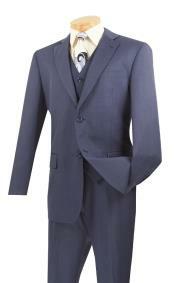 Shorter and tight-fitting, the shoulders are padded while lapel notches and buttons are positioned upper than other types. A snug fit is what you can expect in the hip area and the pants have a tapered waist. If you are blessed with perfect masculine features like slim body, flat belly and very tall, then Italian cut suits are for you! 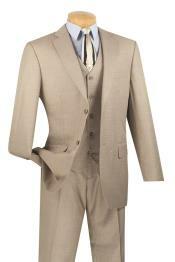 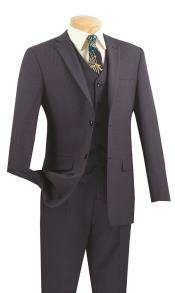 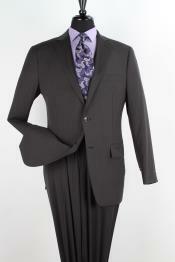 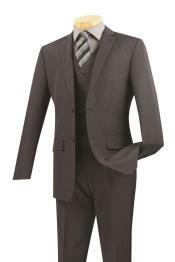 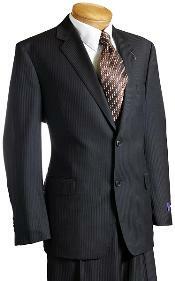 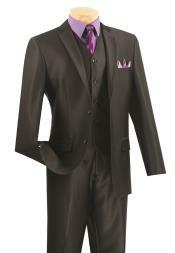 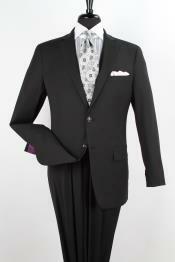 All three factors like quality, pattern and cut are done flawlessly in Italian mens suit. In order to have a wholesome look you've to ensure that you pair up with the right accessories. Trimmings like cufflinks, a silk tie and even a pocket square are all spotlessly good enough extras which will scale up your overall look. 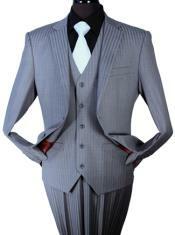 Italian style has always been appreciated by many, even by someone who is not much aware of the trending fashion. Be it a business meeting, an interview or an official party, you can pull off that look you are expecting to make in a stylish Italian suit. 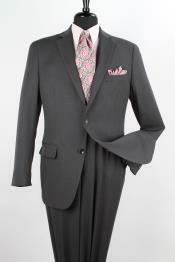 A Best Suits For Men makes a statement about oneself; creating a certain image, they are an expression of respect. 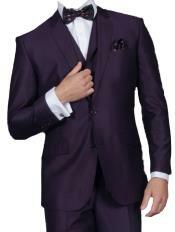 In general, quality of a Best Suits For Men can be stated by just seeing it, nevertheless, in order to understand it comprehensively, it is necessary to take it apart, a spaced out view of the Best Suits For Men is what exudes the quality factor. 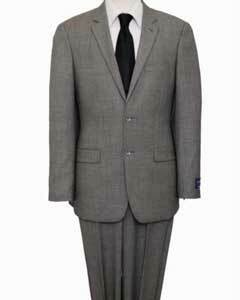 Also, it is all about insider's view, it is the interior phase that makes the difference between a normal suit and a quality suit. 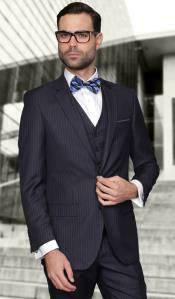 Its appearance is simply determined by the choice material used to make the Best Suits For Men, on the other hand, fit and style facet depends on the construction techniques. 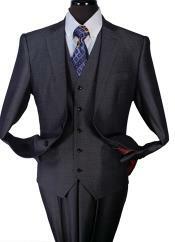 Body morphology is what they consider; the Italian tailors contemplate on extra fittings than the standard ones, in order to get an exceptional fit. Their crafting towards detail also plays a great role to achieve this fit. 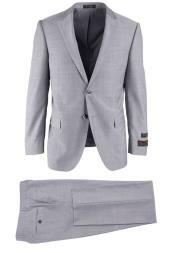 Right from the buttons to the lapels, every part is given great attention, and it is these small details that add up to the overall look. 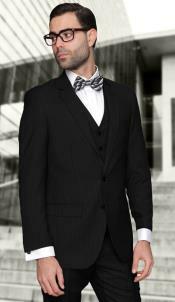 Known for its cut and quality, in terms of aesthetics, sartorialism, design & architecture they excel and stand out by all means. 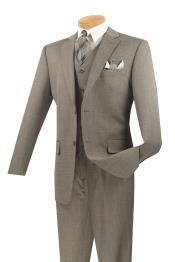 Every gentleman needs at least one high quality and elegant Best Suits For Men. Whether it's for work or a special occasion, we all need one Best Suits For Men that sets itself apart from the rest. 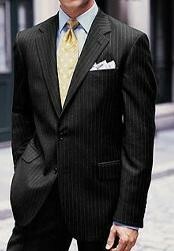 Men's Italian suits are the best suits for men to be worn for any occasion; official meetings, get together and reunions. 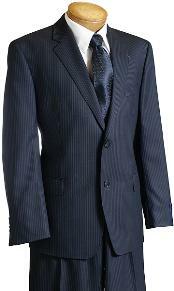 Italian worsted wool fabric is rated by numbers such as Super 120's, Super 140s suits, and Super 150's or higher. 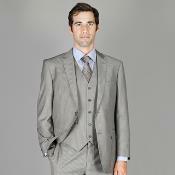 These values refer to the count or fineness of the yarn used in the fabric to make suits. 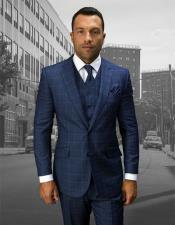 MensUSA.com uses one of the world's finest fabrics, made from sophisticated worsted wool, which is considered to be the finest and best material for men's Italian suits. 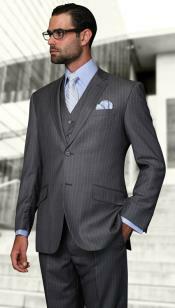 Our fabric are best in comfort, has greater longevity and wrinkle resistant. 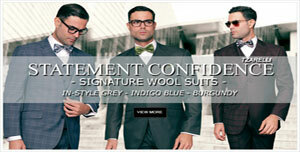 Every care is taken to offer you the best clothing. 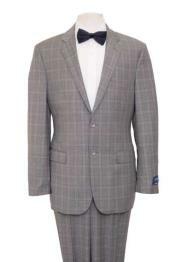 An interesting character of our woolen fabric is that, it is very ideal for Italian suits and has the ability to absorb moisture; even in the hottest summers which will keep you comfortable and cool. 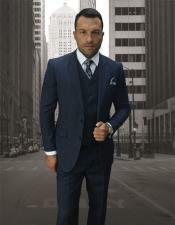 Best Suits For Men are no more a corporate armor, get your Italian suit at Mensusa.com and you are sure to exude that masculine elegance with our range of Best Suits For Men available. 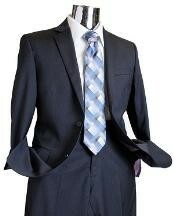 Designed with great attention to detail, they are handcrafted with great care, just for you to look sleek and stylish. 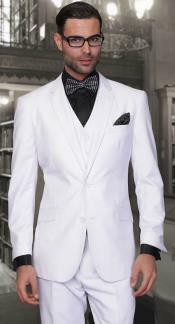 Whatever style you wish to set out, with our Best Suits For Men collections you are sure to look prudent, sleek and commanding.